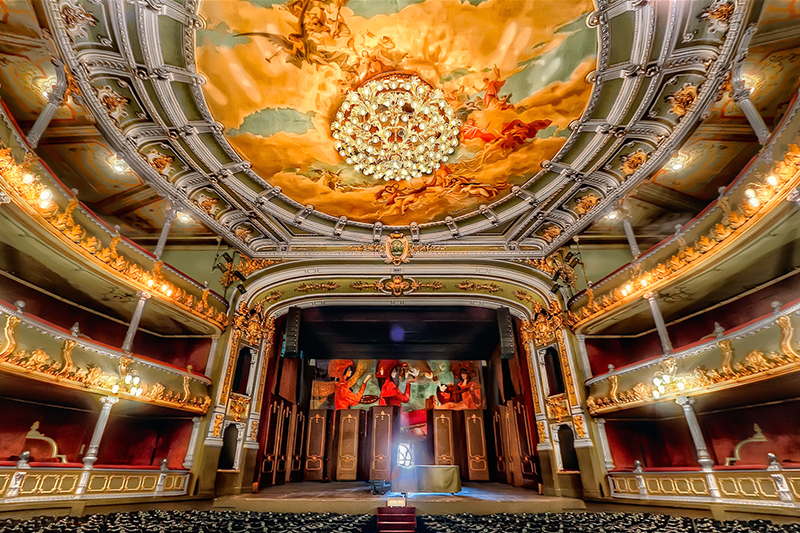 The Central Region offers a variety of cultural and natural attractions, including the best museums and theaters in the country. 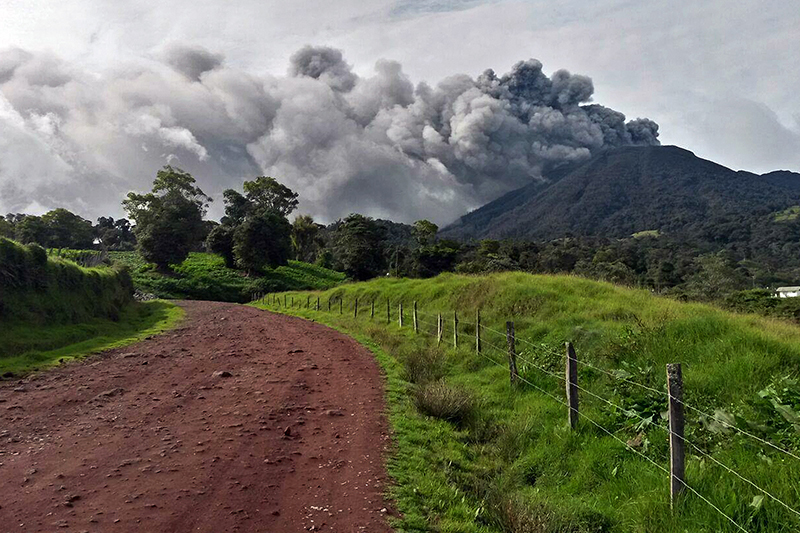 National parks located in the Central Valley protect the region’s primary volcanoes: Poás, Braulio Carrillo, Irazú and Turrialba, all of which have transport and viewing infrastructure allowing visitors to enjoy the birds, landscapes, craters and forests. 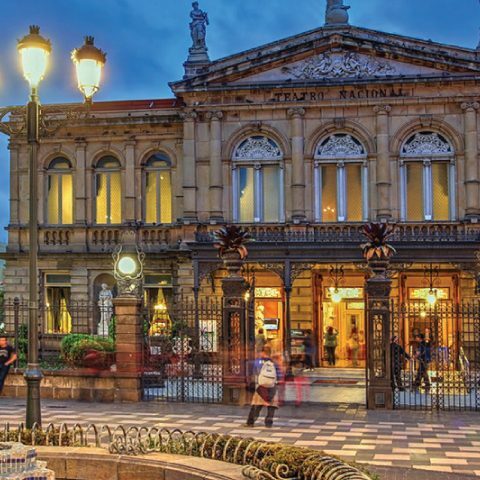 The capital San José hosts most government services, but other provincial capitals – Alajuela, Heredia and Cartago – offer a number of commercial and quality tourism services. The Central Valley has two areas of extraordinary beauty that are tourist destinations in and of themselves: Turrialba and the Valley of the Saints. Rural villages offer great scenic beauty and a glimpse of Costa Rica’s past with adobe houses, large coffee plantations, mills and dairy farms. 1. San Jose Downtown: The city of San Jose boasts a wealth of cultural and educational attraction as the National Theatre, the Melico Salazar Theater, the National Museum, the Gold and Jade Museums, the Metallic Building and the Contemporary Art Museum among others. Barrio Amon is an aristocratic area with beautiful old buildings full of stories and great gastronomy. 2. 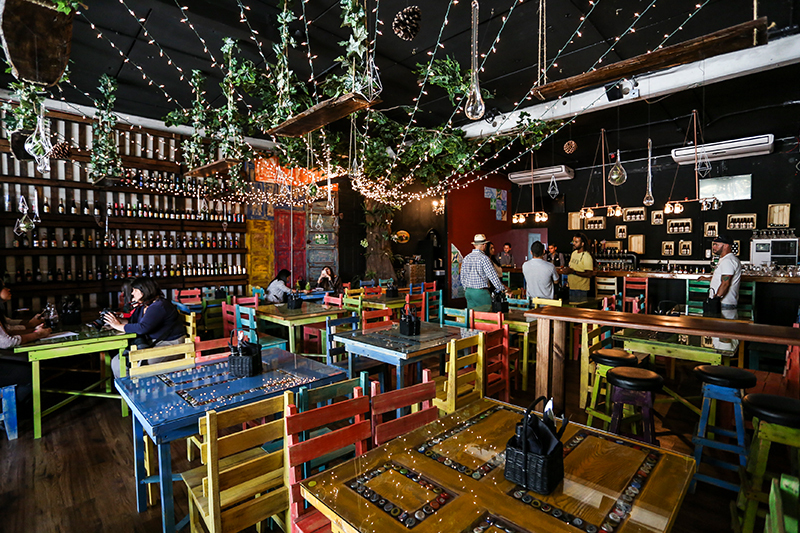 Escalante Gastronomic District: A bohemian an authentic avenue with more than 50 local and international restaurants, pubs, bars and bistrós. Ideal to enjoy a local experience, perfect for foodies and gastro lovers. 3. 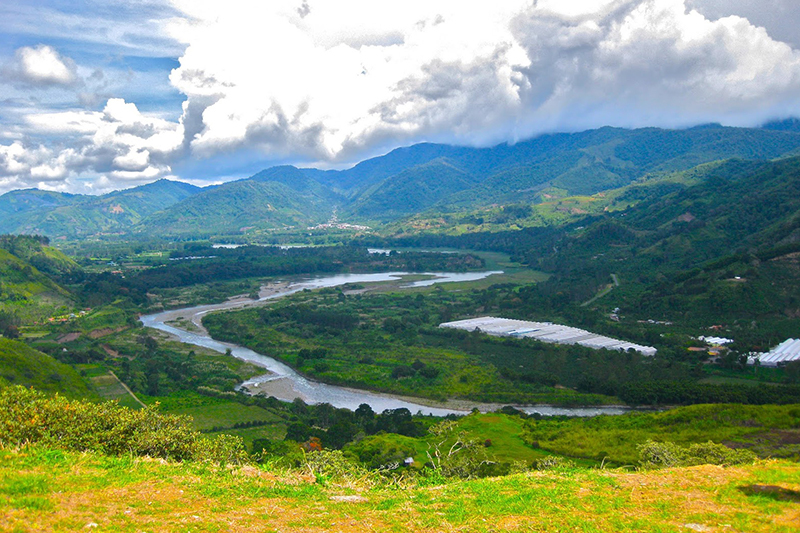 Orosi Valley: Orosi Valley, located in the Province of Cartago, is a valley of lush natural beauty, crisscrossed by rivers and hot springs. In the center of town of Orosi are the local church and the Colonial Museum, built in 1743 by Franciscan missionaries. It is one of the few colonial buildings that still exist in good condition in Costa Rica. In 1985, it was declared a national monument. 4. Ruins of Ujarrás: Its full name is actually the ruins of the Church of the Immaculate Conception of Rescue of Ujarrás, which was built in the second half of the sixteenth century. 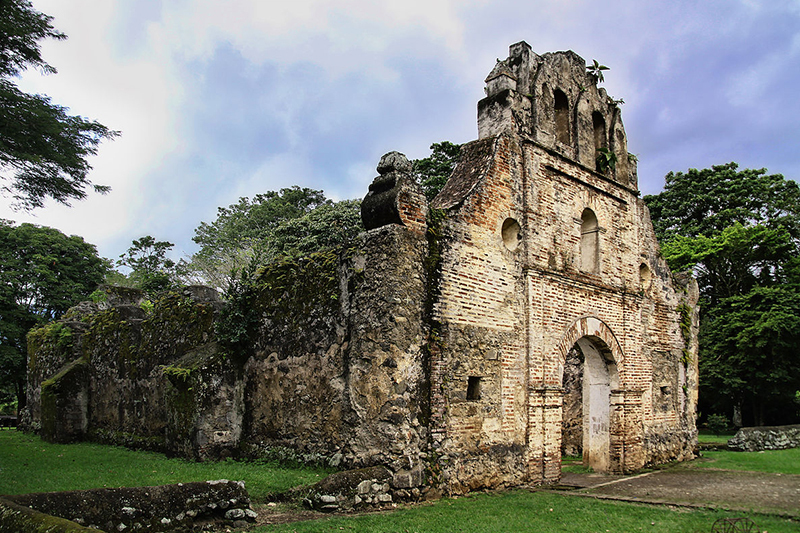 Like the Church of Orosi, it was declared a national monument in 1920. 5. 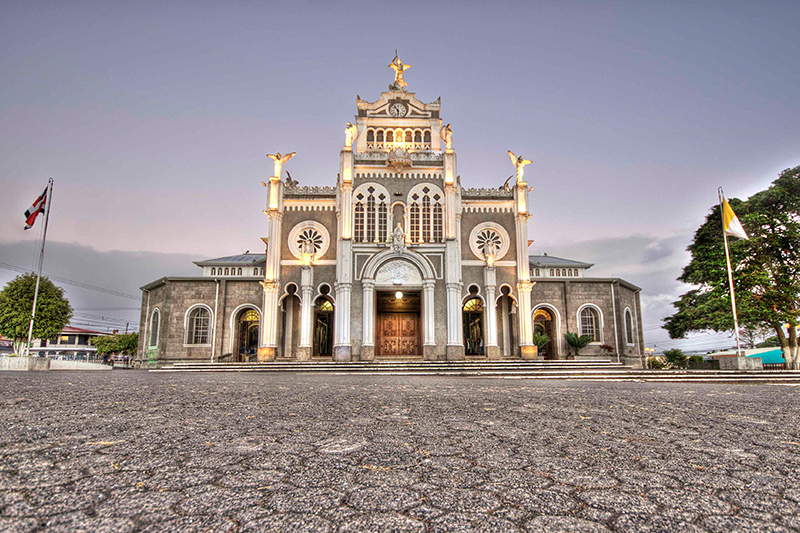 Los Angeles Basilica: Today Cartago is the religious capital of the country, home to the Lady or Virgin of the Angels. The current church, the Basilica, was built in 1921, and inside there is a small shrine to the attending devotees. Every 2nd of August, there is a pilgrimage where more than two million people from all over the country. 6. Irazú volcano National Park: Irazu Volcano is one of the 7 most active volcanoes in the country and also the highest with 3,432 meters above sea level. It has four craters, two lagoons and other very interesting attractions such as the fields of ornamental flowers, strawberry crops, the Museum of Volcanoes, among others. 7. San Gerardo de Dota & Savegre River: San Gerardo de Dota is a small town that belongs to Los Santos. It is a special place for bird watching, especially the quetzal; therefore, dozens of tourists interested in ornithology visit the sector each year. 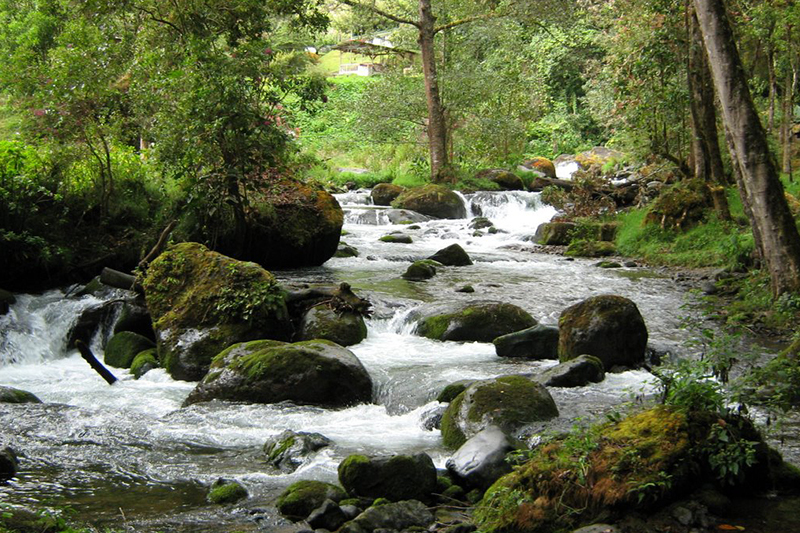 The Savegre River has established itself as the cleanest river in Costa Rica and some venture to say it is the cleanest of Central America. 8. 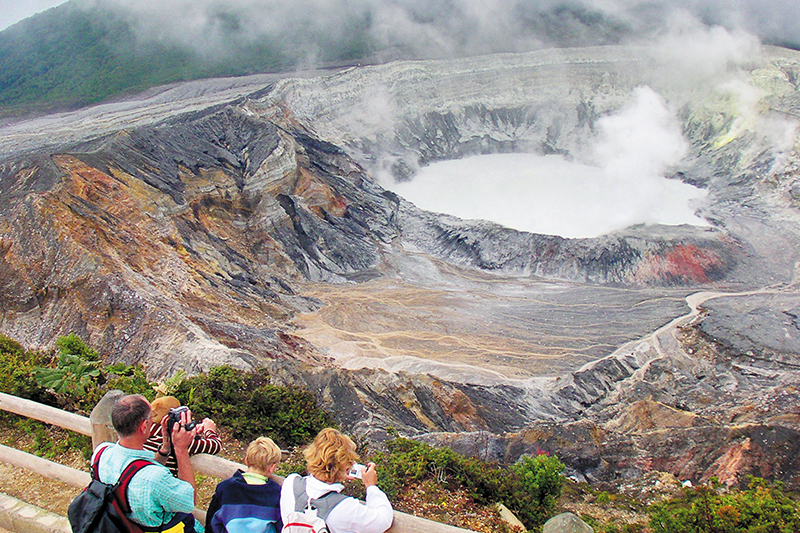 Turrialba City: The city of Turrialba has one of the country's most famous cheeses. Turrialba offers great agricultural tourism activities, birdwatching, adventure tours and cultural activities with locals. 9. 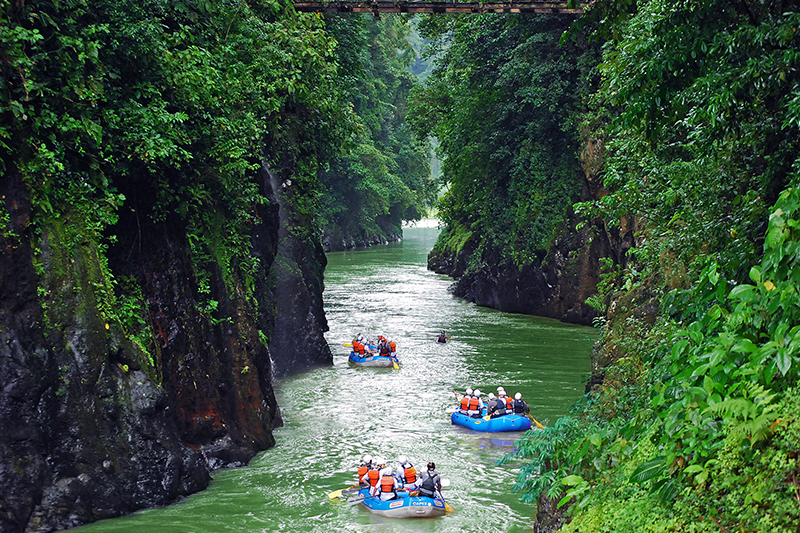 Pacuare River: The Pacuare River was once upon a time considered by the National Geographic as one of the most beautiful rivers in the world for white water rafting. In fact, such activity has a fairly significant rise among tourism activities in the country. 10. Braulio Carrillo National Park: Lying in Costa Rica’s lush and beautiful Central Valley, this national park is easily accessible from San Jose. 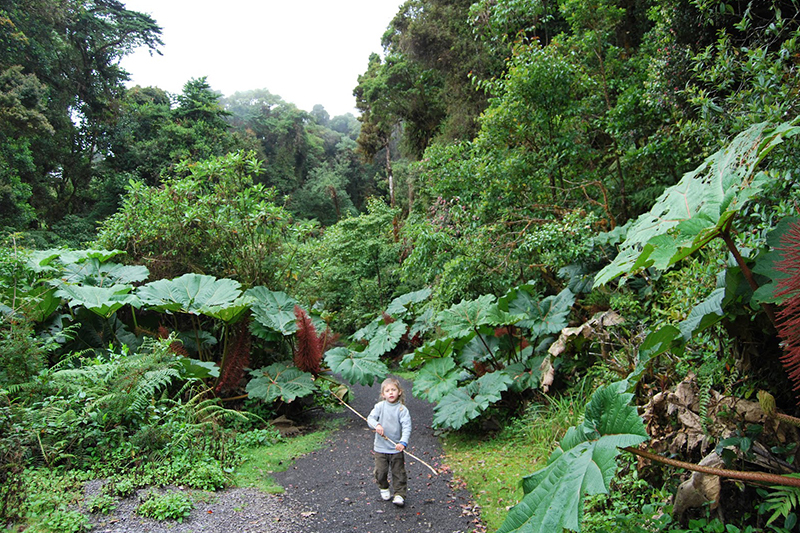 Home to more than 500 species of birds, 6000 species of trees and plants, and over 135 species of animals, the Braulio Carrillo is the dwelling of the magnificent Quetzal as well as the habitat of the fast disappearing palmito and tepezcuintle trees. 11. 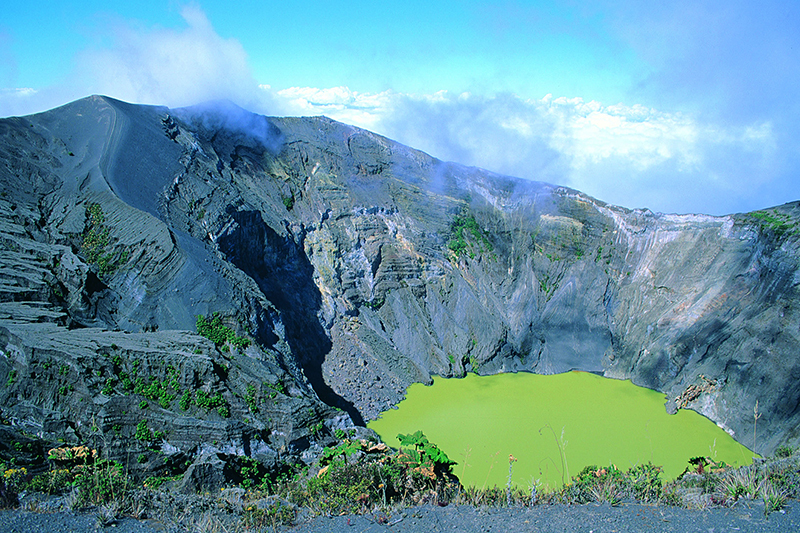 Poas Volcano: Poas Volcano used to be the most visited National Park in Costa Rica. Poas is currently closed because due it’s recent activity in 2017.